If you aren’t familiar with Super Powers, it was a licensed toy line created by Mattel back in the 1980s, featuring various DC super heroes — everyone from mainstays Superman, Batman, Wonder Woman and Robin to the more obscure Red Tornado, Dr. Fate and Orion. It also included characters from the Super Friends TV show, such as Samurai, as well as some characters created specifically for the line, like Golden Pharaoh and Cyclotron. To go along with the line of toys, DC created three different miniseries — the first two of which involved legendary creator Jack Kirby. 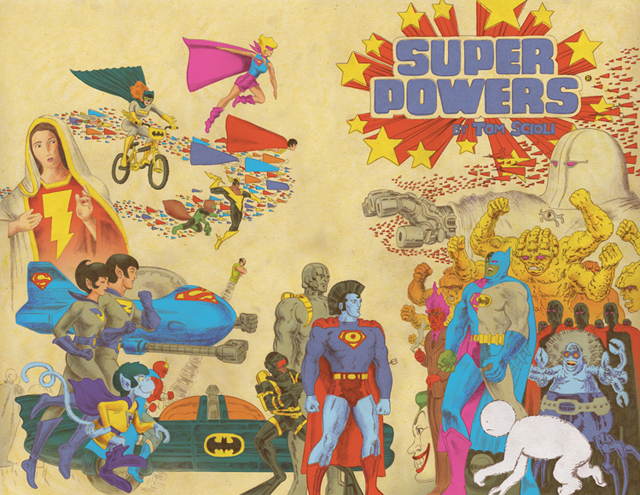 The animated Super Friends show, a Saturday morning staple in the 1970s and 1980s, evolved into Super Powers as well. The line spurred a lot of other merchandise, from Underoos to Nerf wrist flyers to fast-food kid’s meal toys.